This video is blocked in my country from watching because it contains content from WMG. First band I ever saw live. 1971, Lemmy on bass still on that tour. Saw this and went digging through my albums. I still have Hall of the Moutain Grill. Lemmy's on that one too. Forgot how cool that music is. Thanks for the bump. 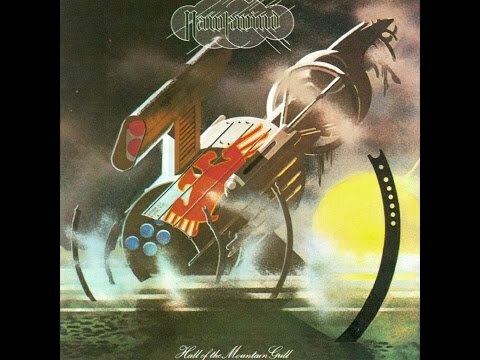 I love me some Hawkwind. Saw them on the Space Bandits tour in early 90's. Mind blown. And they got me reading some Elric Chronicles books, too. First band I ever saw too, in Dublin the following year, also with Lemmy. 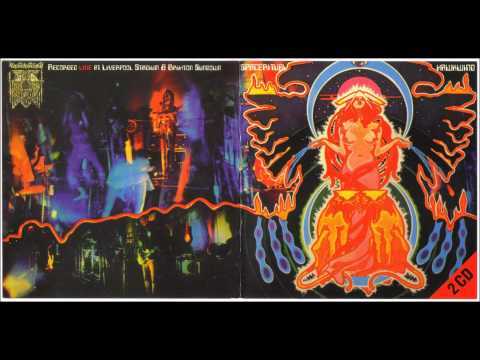 When I was sixteen, out in Australia, I encountered Hawkwind in our local record shop, bought a bunch of their albums over a span of a few months, and Space Ritual was on constant play for me for the next several years. Actually the gateway purchase for me was seeing the cover of the LP ‘Quark Strangeness and Charm’ in the shelves, as it was just released about that time, but I’d remembered them from many years before in the summer of 72 with Silver Machine being in the charts alongside Schools Out and Seaside Shuffle. My favorite non-German "casual slur for German"rock band. Hands down. the ultimate in 12 bar Space Rock..